Slick Dashboard – Clutter Free with ‘Fast Track’ Blocks to help you get at what you need quickly saving you time and making training others a doddle! Whilst we have kept the ‘Classic’ WYSIWYG (What You See Is What You Get Editor) we’ve introduced an enhanced drag and drop system which makes even complicated page layouts a breeze. With an in built image editor the Media Centre helps you store and manage all the assets you want to use on your website. Whether the spec you choose includes the standard Form System or our enhanced Engage 123 system – making forms web developers would envy is as simple as drag & drop. Now you can take control of Google Maps and personalize fully to your business with simple controls. Whether it’s just you managing your website or a small army – Entity lets you assign access, roles and permissions simply and without fuss. Be confident your legal, terms, privacy and more are fully compliant. Backed by our preferred Solicitor Firm you get 2 free hours of consultation when needed and updates to legislation are automatically set to you so you are fully up to date. Live notification lets you know when your Apps and main engine have patches and updates to protect or further improve your system. A simple one click process lets you complete the update task without requiring an I.T. Manager. With access to over 80 reports through Google analytics you can get real time information on how your website is being used. As with all our products and services we want to ‘empower you’. No ritual needed – just friendly 1 on 1 training with on demand support ongoing after. All the help you could possibly need. Entity has access to over 150,000 apps extend the functionality and life span of your website exponentially. Our team continually search out and test apps to ensure they work flawlessly when installed. We already have a proven library for several niches and vertical markets. You can select to have the backup App installed which allows you to create on demand or scheduled backups that store on your hosting server. Whether video, audio, images, documents almost all media files are compatible. For when one menu is simply not enough. Modern websites service visitors in so many ways and multiple dynamic menus helps you get them to where they need to be intuitively and without the head scratching. Why be the same when you can be different! Make your mark and supercharge your viewers first impressions with a stunning bespoke designed website theme. Whilst we believe we have covered everything major in Entity 123 we realise there will be tools you need now or in the future. Depending on the version of Entity 123 you select you are given App Credits to help you build and extend your platform for your niche or vertical market further. Many Apps com with pre built dynamic widgets that can be dragged onto your web pages to add functionality or dynamic sections with a single click. We believe this is the best e-commerce engine in the world. Powerful feature rich and easy to use! It’s in the bag! Short codes are perhaps one of the best inventions for the non web designer. They allow you to easily add powerful ‘snippets’ to your web pages to create immersive layouts and features that engage your customers and encourage them to stay on your website longer and take action. Easily manage ad group photos into galleries and albums – easy to paste into any page with one click. Powerful image tools help you ensure your images are loved by the search engines and now with ‘auto crunch’ prepping file sizes is a thing of the past. A great banner grabs attention. This powerful slideshow system allows you to create high impact banners and slides for your website. Drive sales – don’t just wait for them to ask. The world famous Wordpress Blog Engine means your blog will not only please your readers and subscribers but also please Google and other Search Engines. Create powerful QR Code campaigns to attract, engage and communicate with your customers. Let visitors easily ‘preach your groove’ to others in their social networks with a single click. Go viral! Give your customers directions to your business dynamically wherever they start their journey with full route directions that can be printed. Designed to create curiosity this corner peel advert attracts attention and reveals on roll over to encourage click through. Know the moment a customer enters your website. Engage them in conversation or simply help them when they ask with this comprehensive Live Chat and Messaging System. 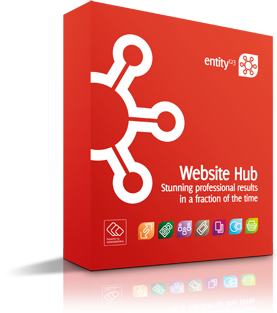 Entity 123 is the ideal Web hub to support even the most demanding marketing and promotion campaigns. 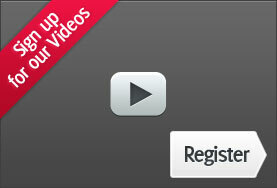 Powerful tools help you make the most of any inbound traffic and potential leads. Built to give you the control and save your business time. Flexible Web hub to support your online success. Designed to be simple to use by non web or I.T. people. Stunning professional results in a fraction of the time. Cash Flow Friendly ‘Options’ Scheme. Fast Delivery - Get weeks ahead of the competition in days. Designed with the S.P.A.© Methodology – giving small business an even playing field with big Business.